Bringing my own food was not a bad Idea! So our first game was at 7am this morning at an ice arena in a land, far far away so the alarm went off at 5am. This is ok for me, but I normally have to drag my kids out of bed at 7.45 to get ready for the bus so they were not exactly flying out bed. 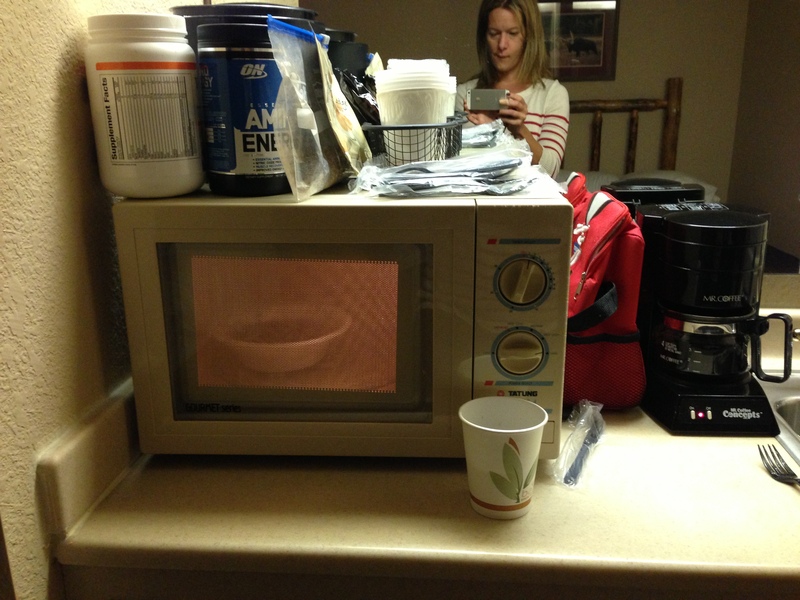 There is nothing fancy or romantic with bringing your own food to a hotel but I mixed my oats with water and put it in the microwave for a couple of minutes. I have to admit that porridge do taste better when you make it in a pot but my omelet was fine. On our way to the ice arena we stopped by and picked up some McBreakfast and jeez compare to that the microwaved porridge was like a gourmet breakfast. This entry was posted in General and tagged diet, fatburning, fitness, healthy-living, lifestyle, low-carb, Sports, weight loss by Malin. Bookmark the permalink. You’re obviously ver committed to your healthy eating! I think that my inner-bully starts to kick me harder when I start to see results. Like u feel like its ok to have the “forbidden” food? How do u stay on track, what is your motivator? I listen to a podcast called “No Excuses To A Healthier You” and it’s really positive and encouraging. That is good…I was looking at your blog and I think u should stick to your diet cos it sounds like u r doin great. You now it takes 20 days to make a habit, so stick to it and you’ll see your diet will come naturally. I’ve been on a low carb diet for years but been eating dairy up till now. There is a lot of great recipes you can bake with ie almond flour, stevia and so on that wont effect your blood sugar like normal flour and sugar.